Meeting at The Masonic Hall, Yerbury Street (off Roundstone Street) Trowbridge, Wiltshire. 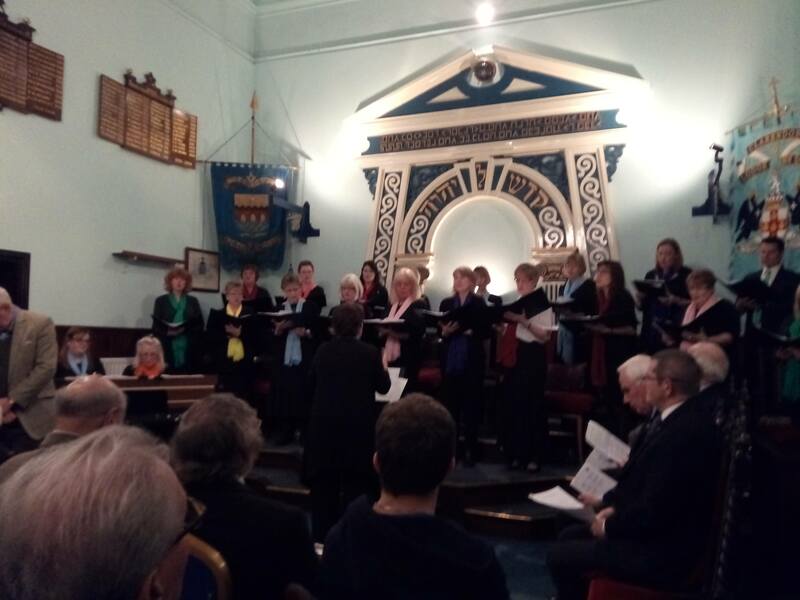 On Saturday 3rd December the Trowbridge Masonic Hall Association held its annual carol service. This year the event broke from athe traditional nine lessons and carols which had been held for some years and which had been led by Bro David Asplin. This year the Wiltshire County Choir came to the service and whilst there were lessons and carols in abundance these were interspersed with beautiful singing by the choir. David Asplin in his inimitable style acted as Master of Ceremonies for the evening. 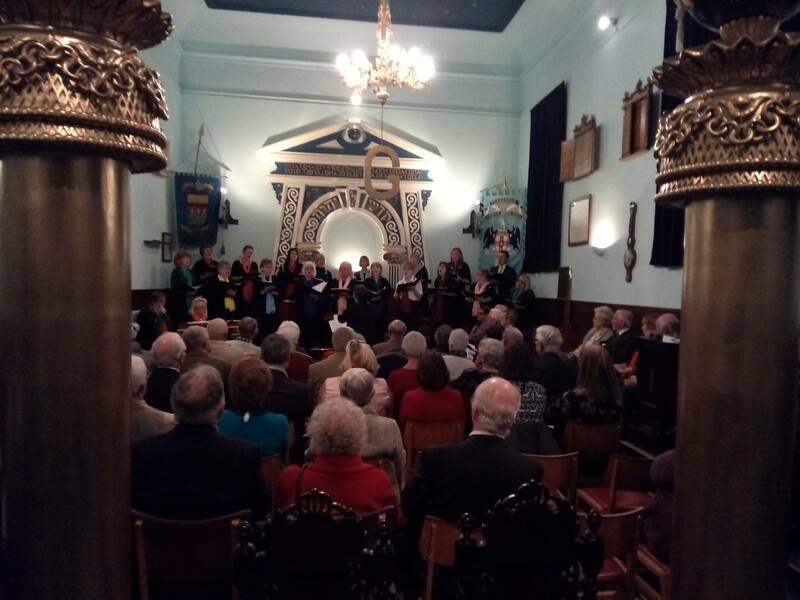 The service was well attended with 80 Brethren and wives/partners present and the lessons were read by representatives of the various Masonic bodies which use the Hall. The PrGM, Bro Philip Bullock, read the second lesson on behalf of the Chapter of Concord of which he is the current 1st Principal. 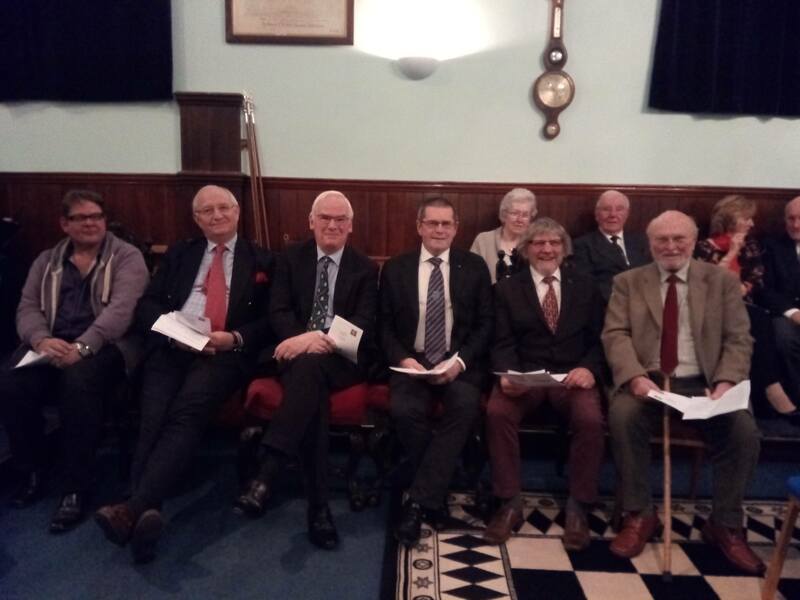 Other lessons were read by Bro John Cadby of Lodge of Concord, Bro Roger Karn of Geoffrey Short Lodge of MMM, Bro Derek Phillips of Clarendon Lodge, Bro Jim Gooding of Chaloner Lodge of MMM, and Bro Bob Britton on behalf of the Concord Lodge of RAM. Following the service there was a splendid supper during which a raffle was held and in all nearly £400 was raised for the Masonic Hall building fund. The evening ended with a hilarious rendition of the 12 days of Christmas led by the Wiltshire Council Choir. The December meeting of the Lodge witnessed both the Senior and Junior Past Provincial Grand Master taking their place in the North East accompanied by the Provincial Grand Master - Mark Master Masons. This Christmas theme (three wise men) was further enhanced when Mark Manning - Master of the Lodge presented £2,000 to Fran Lewis, Chief Executive of Splitz Support Service. In October 2015 Wiltshire’s Community Safety Partnership supported and agreed to re-commission a specialist high risk service for people experiencing domestic violence and abuse. Funding was committed by Wiltshire Council’s Public Health and the Police and Crime Commissioner (PCC), and supports the delivery of the domestic abuse strategy and the Police and Crime Plan. Splitz Support Service was chosen to deliver this challenging programme which will provide an easy to access, high quality service offering a range of crisis-interventions, including support to access alternative accommodation, safety planning, healthcare services, working to reduce immediate risk and supporting individuals to stay safe. The service will support anyone aged 16yrs or above who is at high risk of harm from DVA irrespective of disability, ethnicity, sexuality or gender. 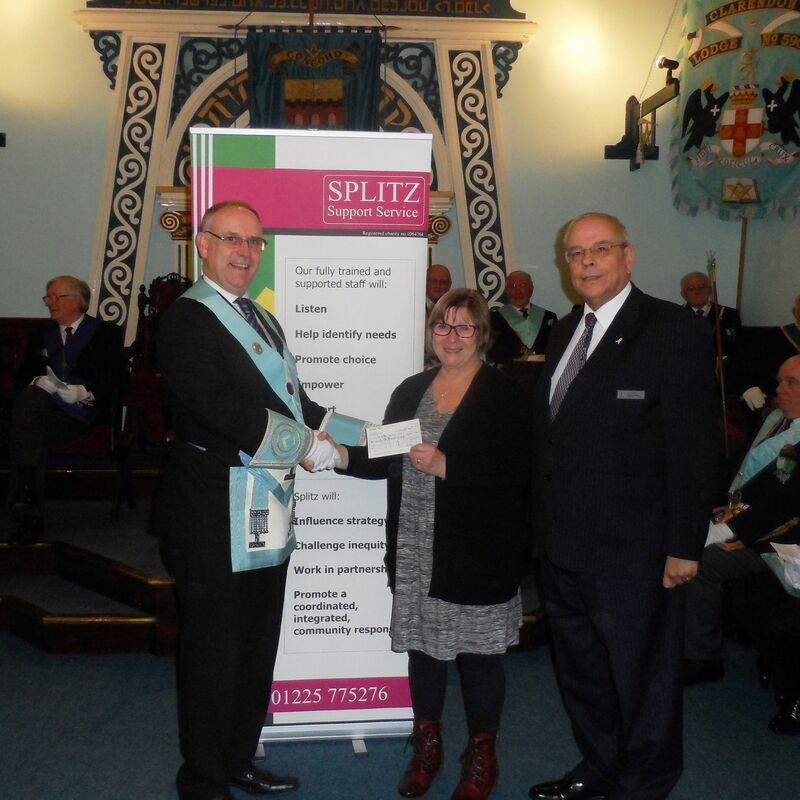 Wiltshire Freemasons are delighted to support the work of Splitz Support Service through individual Lodges as well as at Provincial level. Lodges wishing to know more about the vital work undertaken by Splitz Support Service should contact Fran Lewis who would be pleased to arrange a presentation to the members and families of your Lodge.  In 1832 the Lodge was renumbered 579. No records can be traced of the subsequent Masters of the Lodge; the only records that were obtained from Grand Lodge show 17 initiates between 1831 and 1841. In 1851 the Lodge of Concord was erased from the list and the warrant declared by the Grand Lodge to be forfeited for non-compliance with the Laws for some time previous. Endeavours were made by W.Bro Daniel Gooch, Deputy Provincial Grand Master of Wiltshire, to get the old Warrant reinstated, but this proved impossible and on 24th March 1854 a petition was presented for a new warrant to meet as a regular lodge, on the Tuesday nearest the full moon in every month and there to discharge the duties of masonry, in a constitutional manner, according to the forms of the order, and the laws of the Grand Lodge. 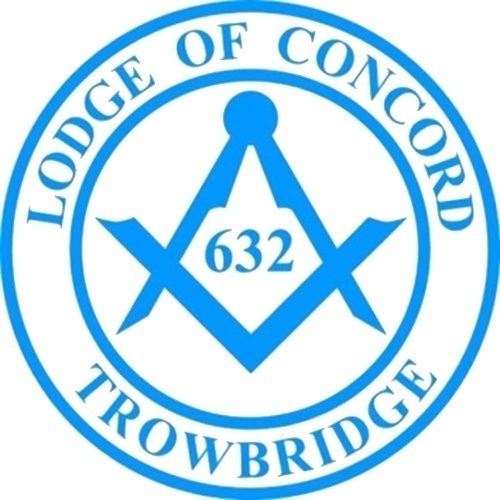 The Consecration of the Lodge of Concord (then numbered 915) was held at the Court House in Trowbridge on Tuesday 16th May 1854 by consecration officer Daniel Gooch, assisted by Bro M C Rea, Provincial Grand Secretary. On the 6th July 1863 the Lodge was renumbered 632. On 23rd January 1866 saw the first meeting of the Lodge of Concord to be held at the Masonic Hall in Silver Street, and it was used as such until 9th May 1904. 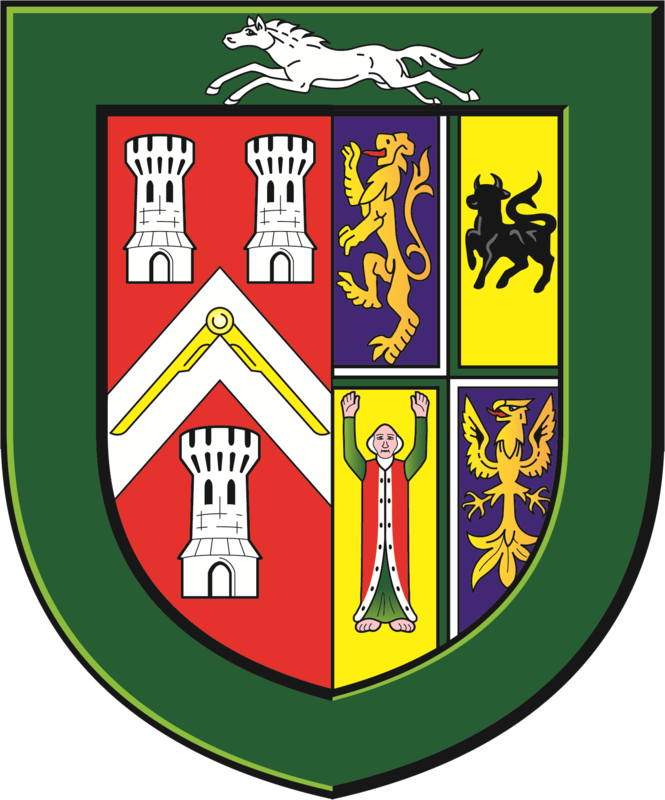 In 1869 the petition from Bradford brethren was signed, the first daughter lodge "Friendship & Unity No.1271" and, then on 9th September 1873 another petition was presented on behalf of the brethren residing in Warminster, for a lodge in that town. 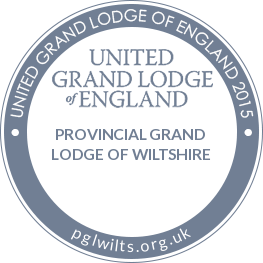 This was accordingly endorsed, and the Longleat Lodge No. 1478 was born. On the 19th March 1904 saw an emergency meeting held to consider an offer of the Music Hall in Marlborough Buildings for the use as a Masonic Hall, and it was decided to purchase the same for the sum of £300. 13th July 1904 saw the dedication of the new Masonic Hall, Hilperton Road, by the Right Worshipful Provincial Grand Master of Wiltshire, The Right Hon. The Earl of Radnor. 39 members of the lodge were present and 114 members from 19 lodges. After the dedication ceremony and closing of the lodge the Brethren adjourned to a Garden Party at Highfield, at the kind invitation of W.Bro W.J.Mann. On the 10th May 1943 a petition was submitted for the foundation of a new lodge to be called "Clarendon". This Lodge was consecreated on 3rd February 1945 by the Deputy Provincial Grand Master W.Bro G.E.Thornton PrJGD.